Colombian singer Manuel Turizo made a huge splash in Latin music last year with his ukulele-driven debut single "Una Lady Como Tú." At just 17 years old, Turizo, who is signed to the artist development and management company La Industria Inc. (Nicky Jam, Saga Whiteblack, Chocquibtown), has won fans all over the world with his super sweet vibe, distinctive magnificently deep vocals, and reggae-infused urban pop, making him one of the hottest rising talents in Latin music today and putting him on course as an artist to watch over the next couple of years. "We are so happy with the approval of our followers," Turizo told Musical Notes Global. "The truth is my short career is a dream that I'm enjoying to the fullest and I hope to keep learning every day and taking advantage of this extraordinary experience that life gave me, always getting ready to rise to the challenge of everything that comes my way." 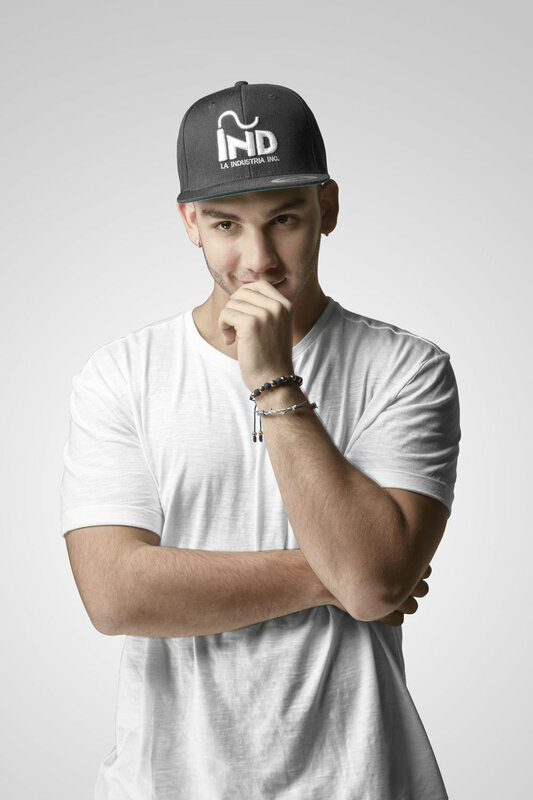 In December 2017, following collaborations with Belinda, Juan Magan, Piso21 and fellow La Industria Inc signee Valentino, Turizo released his latest single "Esperándote." The anticipated follow up to "Una Lady Como Tú," the song finds the rising sensation once again joined by his older brother Julián, who adds his fantastic melodic ukulele. "Esperándote is the continuation of Una Lady Como Tú," Turizo said. "There are moments in which you find that person that you always dreamed about, but she is probably not prepared for you at this time because she just got out of a relationship and finds herself a little hurt, so she can't appreciate whatever may happen," he explained. "From there the idea was born to continue writing another chapter with 'Me Enamoré' which is the end of this story and which you'll also know very soon." In two short months, the music video has already accumulated more than 150 million views on YouTube, winning the young singer even more fans who can't wait to see what he'll deliver next. The intriguing video concept, which begins with Turizo falling in love with a girl in a restaurant, was the product of teamwork between La Industria Inc and Colombian marketing agency 2Heart. "The truth is the proposal surprised us because it hit perfectly on the idea of the song," Turizo said, "where many times relationships don't materialize when you want them to, we must wait for the perfect moment that surely will arrive if that person was born to be with you." "You are as great as you imagine'," Turizo tells his fans. "We should never stop dreaming, we can achieve anything. The success that I have motivates me much more to keep doing things the right way and it challenges me to continue preparing to be the best."